Q-How long will it take to receive the music Mp3 music player for my facility? A-As soon as your application is received and reviewed you will usually receive an email confirming your acceptance into the program. Another email will notify you that the Mp3 Player is on its way. Usually this can take several weeks. Q-Will there ever be a cost for this music program for my facility? A-No, Rescue Animal Mp3 Project is donating the Mp3 player and music on permanent loan as long as your facility abides by the application and are using the music in your shelter to benefit the animals. There is no cost now or in the future for this program or Mp3 Player with music. Q-What is our facility’s obligation to this music project, when we decide to participate with this program? A-Rescue Animal Mp3 Project would like you to hang a 81/2 by 11 sign in your lobby area crediting the musicians who have graciously donated their music for this project. Also completion of a simple one sheet check box type questionnaire follow up. Q-If my facility doesn’t have a sound system what can I do to use the music for my shelter. A-If your shelter has one main room, a large Boombox, CD player, Shelf Stereo or Mp3 speaker with a 3.5mm or RCA input port will work. Ask your volunteers, FaceBook friends or Girl scouts to help donate a Boombox, CD type player, Portable Stereo or Mp3 speaker. Let us know what Input Cord that you need so we can send you the Mp3 Player and correct cord hook up. If your shelter has multiple rooms you can start with a Boombox/ CD Player in one room and consider a small sound system run by an amplifier or receiver (with a 3.5mm or RCA input port) and single speakers in each room if desired. Available at Radio Shack or other electronic stores. Please contact us with any questions or concerns BEFORE you purchase your speakers. Q-If I have a problem with the Mp3 Player set up or questions, who do I contact? A-Please contact Rescue Animal Mp3 Project via email or call 330-266-2500 as soon as convenient. 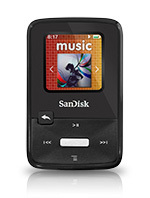 Q-Is the music that is on the Mp3 Players for shelters available for purchase to individuals? A-Yes by purchasing the individual CDs. We sell several of the individual CDs thru our website www.RescueAnimalMp3.org/shop-to-help/ to help to support us. Q-Can a non United States Shelter apply for the Rescue Animal Mp3 Project music? Q-I am interested in the Rescue Animal Mp3 music, where can I purchase the music (for personal use, kennel or Veterinary office)? A-We sell some of the CD’s on our RescueAnimalMp3.org/shop-to-help page. All purchases help support our mission!